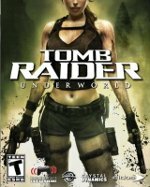 After uncovering an ancient mystery, Lara Croft embarks on a journey throughout the most treacherous and remote regions of the world to find the secret of immortality. For generations, stories have been told of the fearsome weapon of the norse god Thor. Legend hold that he who wields the hammer has the power to smash mountains into valleys and the strength to destroy even the gods. For more then a thousand years it has existed nly as a myth ... until now. 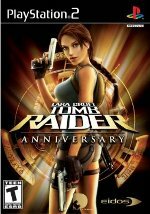 Celebrate and commemorate ten years of Tomb Raider and Lara Croft with Tomb Raider: Anniversary, a new action adventure inspired by the original Tomb Raider video game. 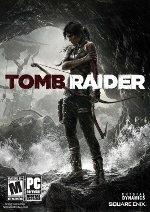 Lara Croft's search for a South American relic changes course dramatically when she meets a dangerous figure form her past, and she finds herself in a race to recover one of history's most famous artifacts. 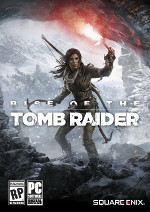 Lara is believed dead after the Temple of Horus collapsed on top of her at the end of Last Revelation. After Lara's funeral, a group of mourners head back to the study in Croft Manor wher they begin to reminisce. After receiving a strange invitation to Dr Willard's Scottish estate, Lara arrives at a derelict and empty castle. Having already collected 4 artifacts, Lara now learns of the existence of a fifth. Lost for many years, the true properties of this final piece are yet to be witnessed. On a voyage of exploration in centuries past, British sailors discovered a meteor buried deep in the earth. Unwittingly, they looted four artifacts placed with the meteor. One of these sailors kept a journal as they headed back to England. He was the only one to make it home alive. 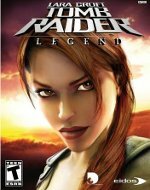 Two expert levels of Lara's dramatic return to Atlantis - lara has discovered the existence of a ruined segment of the alien city, allegedly containing a hive of surviving creatures guarding an alien hatchery. She must destroy the aliens before they infest us again! Lara returns to the city of Khamoon to discover the secret of the strangely beautiful cat statue, and sets off ona new adventure following the trail of the cat to it's deadly and mysterious conclusion. Lara, the adventurer is hired by a greedy business woman named Jacqueline Natal to help her find the three pieces of an ancient artifact known as the Scion. When the three pieces are combined the Scion is believed to resurrect the fabled lost city of Atlantis. 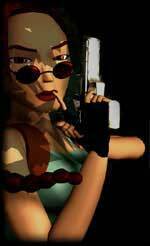 Along Lara's great adventure, she will discover many secrets of this lost city and the mysterious alien race hidden within it's walls.